Inspired by the vineyards of Tuscany, Lenox captures the sensual pleasures of Italy in this full-lead crystal stemware, made in Austria. The classic flute bowl is set atop an elegant convex stem and showcases the fine, tongue-tingling bubbles as they rise to the top of the glass. Coordinates with the Tuscany Classics Collection of glassware and complements any tableware pattern. 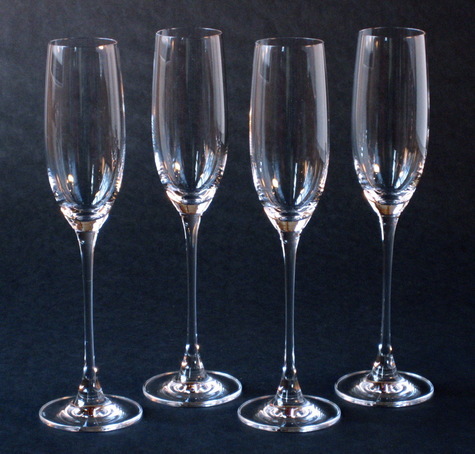 Set of 4 flutes, in original box. First quality, not a second. Sold originally for $54.